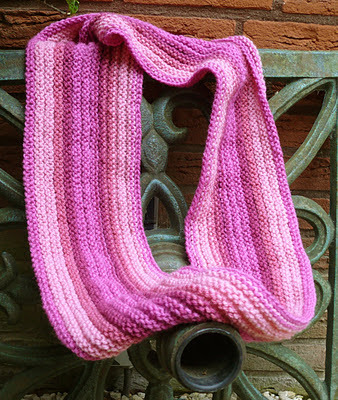 I love knitting Mobius scarfs! With the video of Cat Bordhi, http://www.youtube.com/watch?v=LVnTda7F2V4, how to cast on, it's very easy! My daughter loves pink, i made her this Mobius scarf in overflowing colors.